During Senegal’s rainy season, I noticed a pressing problem at my local health post: There would often be 70 or more people waiting for treatment but with only five clinic staff, seeing every patient was a struggle. Health posts in Senegal receive resources from the government that are allotted in proportion to their designated geographic population, but at my post it was clear that many patients were coming from other communities. This meant that we were trying to see many more people than were assigned to us by the government. The ideal for any Peace Corps Volunteer is to adapt the skills they bring to service in order to help strengthen the systems already in place in their host community. Before joining the Peace Corps, I received a master's degree in sociology and worked for a year doing large-scale research among refugees in Turkey. In that job, I realized how important data is when working in environments with limited resources. With this in mind, I made a proposal to the health post staff: let me digitize your records and write reports about your work. Entering over 28,000 consultation records in handwritten, cursive French into a laptop is difficult. Doing so in a village without electricity, running water or an internet connection is doubly so but that’s what I did – slowly but surely. 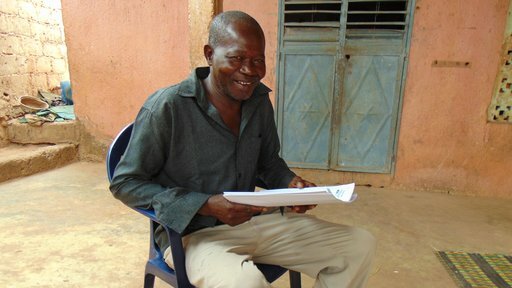 Mahamadou Coulibaly, Alex's counterpart, prepares to present the health report to their village chief. The first report that I wrote was a description of a single year’s worth of visits to the health post, and it showed that nearly a third of our patients came from outside of the government-designated treatment area. It also confirmed suspicions that my health post colleagues had about high-risk areas – certain villages where records show pneumonia spreading among children and heightened rates of sexually transmitted infections. Knowledge is power and the information that my health post colleagues provided is now being used to identify villages with a high risk of malaria, assess where interventions are needed to improve prenatal care and evaluate the impact various community health workers have over time. This past year, my health post received significantly more funding than it had previously. There are a number of reasons for the increase in funding, but the consultation analysis reports were cited as one of them. Nianku Sambou has gotten into the habit of recording weekly consultation visits into his laptop and he is also learning data analysis techniques. Mahamadou Coulibaly is working with the chiefs of various villages that we identified as high-risk to improve communication about health concerns. Together we are improving the community’s systems and making sustainable changes that will help the post be successful in the years to come. This project has taught me that health post workers know more than any Peace Corps Volunteer about the health situation in their area, but a Volunteer’s skills in data collection and analysis can help describe that knowledge in ways that are more easily accessible for non-governmental organizations and government agencies. The health post staff had already done, and continues to do, the difficult hands-on work of sensitizing and treating affected populations. By showing them how to analyze and reframe that work, I hope my contribution will help them attain the resources and knowledge that they need to be even more effective. 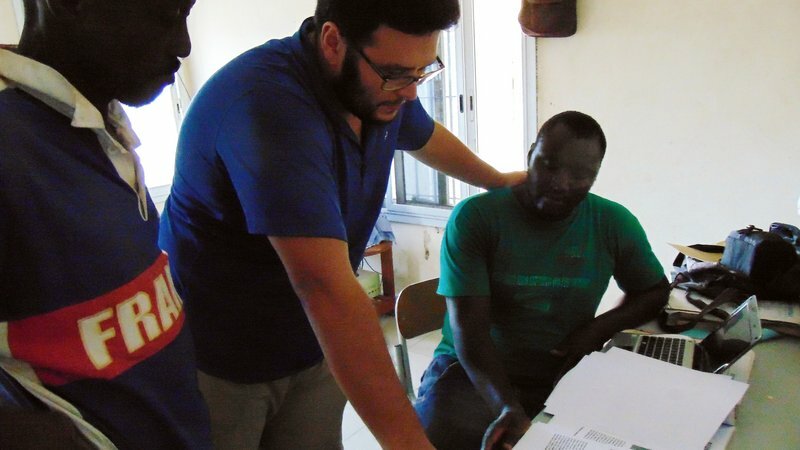 Alex serves in Senegal as a Peace Corps Volunteer in the health sector.